“A rocket of this shape isn’t appropriate if you care about women in STEM.”—Astrophysicist Katie Mack. Orion, an unmanned spacecraft designed to land astronauts on an asteroid—and later on Mars—completed its first successful test flight today. The unmanned capsule splashed down in the Pacific Ocean, ending its first test flight. NASA engineers were delighted with the successful flight. “We were forced to scrub an earlier launch on Thursday after a trio of problems,” said NASA engineer Chris Knight. No no women are tooooootally welcome in our community, just look at all this talk about scrubbing. Bet that’s the woman’s job, right, boys? NASA further incurred the wrath of the feminist community when it described Orion’s mothership as a “Delta IV Heavy rocket”. Orion crossed the Pacific and didn’t shop? No wonder women don’t get into space sciences. Just ask the spaceship without sensible shoes. NASA and Knight apologized to the feminist community for not outfitting Orion with appropriate footwear for its special event. Knight promised a moratorium on all space flights until they solve the wardrobe malfunction issue. 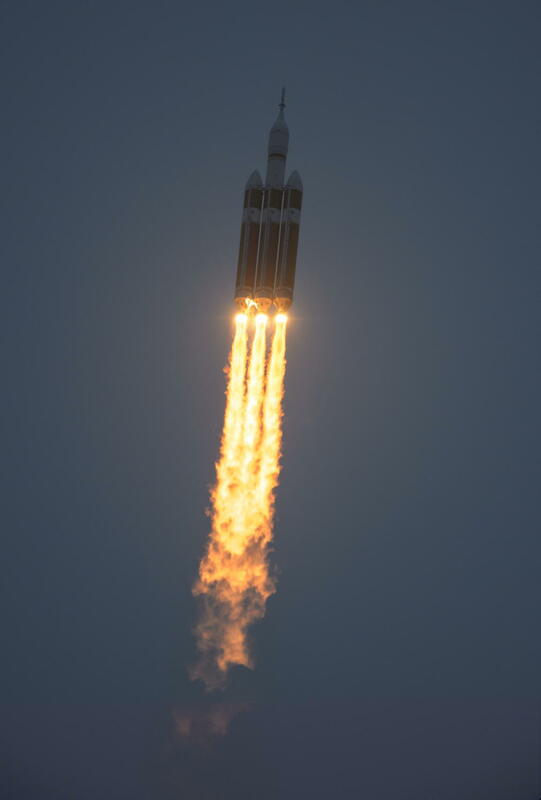 Orion spacecraft makes successful test flight last modified December 5th, 2014. Copyright © 2019 Leni Films.